It seems that the Windows Registry Forensics book is available, as it was shipped to the DoD CyberCrime Conference. I'm looking forward to getting my copy! If you have the Kindle edition of this book, and want the DVD contents, go here. Also, I've added a Books page to the blog, so check there in the future. Brad and Dave have been nice enough to post reviews of the book thus far! Thanks so much, guys...your efforts are greatly appreciated! Harlan Carvey's Windows Forensic Analysis DVD Toolkit, Second Edition is the best book available on Windows digital forensics. Chris Brown has updated ProDiscover to version 6.8. This may not interest a lot of folks but if you haven't kept up with PD, you should consider taking a look. If you go to the Resource Center, you'll find a couple of things. First off, there's a whitepaper that demonstrates how to use ProDiscover to access Volume Shadow Copies on live remote systems. There's also a webinar available that demonstrates this. Further down the page, ProDiscover Basic Edition (BE) v 6.8 is available for download...BE now incorporates the Registry, EventLog and Internet History viewers. Added full support for Microsoft Bitlocker protected disks on Vista and Windows7. This means that users can add any bitlocker protected disk/image to a project and perform all investigative functions provided that they have the bitlocker recovery key. The image compare feature in the last update is very cool for getting the diff's on volume shadow copies. Added support for Linux Ext4 file system. These are just some of the capabilities he mentioned, and there are more updates to come in the future. Chris is really working hard to make ProDiscover a valuable resource. Troy Larson reached to me the other day to let me know that MS had released the beta of their Attack Surface Analyzer tool. I did some looking around with respect to this tool, and while there are lot of 'retweets', there isn't much out there showing its use. Okay, so here's what the tool does...you install the tool and run a baseline of the system. After you do something...install or update an app, for example...you rerun the tool. In both cases, .cab files are created, and you can then run a diff between the two of them. I see two immediate uses for something like this...first, analysts and forensic researchers can add this to their bag of tricks and see what happens on a system when an app is installed or updated, or when updates are installed. The second, which I don't really see happening, is that organizations can install this on their critical systems (after testing, of course) and create baselines of systems, which can be compared to another snapshot after an incident. I'll admit, I haven't worked with this tool yet, so I don't know if it creates the .cab files in a specific location or the user can specify the location, or even what's covered in the snapshot, but something like this might end up being very useful. Troy says that this tool has "great potential for artifact hunters", and I agree. After a bit of an absence, Ovie is back with the CyberSpeak podcast, posting an interview with Mark Wade of the Harris Corporation. The two of them talked about an article that Mark had written for DFINews...the interview was apparently based on pt. 1 of the article, now there's a pt. 2. Mark's got some great information based on his research into the application prefetch files generated by Windows systems. During the interview, Mark mentioned being able to use time-based analysis of the application prefetch files to learn something about the user and their actions. Two thoughts on this...unless the programs that were run are in a specific user's profile directory (and in some cases, even if they are...), you're going to have to do more analysis to tie the prefetch files to when a user was logged in...application prefetch files are indirect artifacts generated by the OS, and are not directly tied to a specific user. The second thought is...timeline analysis! All you would need to do to perform the analysis Mark referred to is generate a nano-timeline using only the metadata from the application prefetch files themselves. Of course, you could build on that, using the file system metadata for those files, and the contents of the UserAssist subkeys (and possibly the RecentDocs key) to build a more complete picture of the user's activities. A recent article in the Washington Post stated that Virginia has seen a rise in CP cases. I caught this on the radio, and decided to see if I could find the article. The article states that the increase is a result of the growth of the Internet and P2P sharing networks. I'm sure that along with this has been an increase in the "I didn't do it" claims, more commonly referred to as the "Trojan Defense". There's a great deal of analysis that can be done quickly and thoroughly to obviate the "Trojan Defense", before it's ever actually raised. Analysts can look to Windows Forensic Analysis, Windows Registry Forensics, and the upcoming Digital Forensics with Open Source Tools for solutions on how to address this situation. One example is to create a timeline...one that shows the user logging into the system, launching the P2P application, and then from there add any available logs of file down- or up-loads, launching an image viewing application (and associated MRU list...), etc. Another issue that needs to be addressed involves determining what artifacts "look like" when a user connects a smart phone to a laptop in order to copy or move image or video files (or uploads them directly from the phone), and then share them via a P2P network. 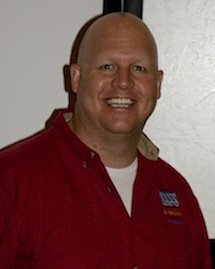 Ken Pryor has posted his second article about doing "Digital Forensics on a (less than) shoestring budget" to the SANS Forensic blog. Ken's first post addressed training options, and his second post presents some of the tools described in the upcoming Digital Forensics with Open Source Tools book. What I like about these posts is that by going the free, open-source, and/or low cost route for tools, we start getting analysts to understand that analysis is not about tools, it's about the process. I think that this is critically important, and it doesn't take much to understand why...just look around at all of the predictions for 2011, and see what they're saying about cybercrime being and continuing to become more sophisticated. I was doing some writing last night, specifically documenting the process described in my previous blog post on accessing VSCs. I grabbed an NTUSER.DAT from within a user profile from the mounted image/VHD file, as well as the same file from within the oldest VSC available, and ran my RegRipper userassist plugin against both of the files. Let me say that I didn't have to use robocopy to extract the files...I could've just run the plugin against the mounted files/file systems. However, I had some other thoughts in mind, and wanted the copies of the hive files to try things out. Besides, robocopy is native to Windows 7. If the value of VSCs has not been recognized or understood by now, then we have a serious issue on our hands. For example, we know that the UserAssist key values can tell use the last time that a user performed a specific action via the shell (ie, clicked on a desktop shortcut, followed the Start->Programs path, etc.) and how often they've done so. So, the 15th time a user performs a certain action, we only see the information about that instance, and not the previous times. occurred and when it was detected. Some pretty valuable information there...imagine how this could be used to fill in a timeline. And the really interesting thing is that just about everything else you'd do with a regular file system, you can do with the mounted VSC...run AV scans, run RegRipper or the forensic scanner, etc. The MMPC has another post up about malware, this one called Kelihos. Apparently, there are some similarities between Kelihos and Waledac, enough that the folks at the MMPC stated that there was likely code reuse. However, there's quite a bit more written about Waledac...and that's what concerns me. The write-up on Kelihos states that the malware "allows unauthorized access and control of an affected computer", but there's no indication as to how that occurs. The only artifact that's listed in the write-up is a file name and the persistence mechanism (i.e., the Run key). So how does this control occur? Might it be helpful to IT and network admins to know a little bit more about this? Also, take a close look at the Kelihos write-up...it mentions a file that's dropped into the "All Users" profile and an entry in the HKLM\...\Run key...but that Run key entry apparently doesn't point to the file that's listed. I understand that the MMPC specifically and AV companies in general aren't in the business of providing more comprehensive information, but what would be the harm, really? They have the information...and I'm not talking about complete reverse engineering of the malware, so there's no need to do a ton of extra work and then post it for free. Given that this affects Microsoft operating systems, I would hope that some organization with MS could provide information that would assist organizations that use those OSs in detecting and reacting to infections in a timely manner. Eric Huber posted a very illuminating interview with Hal Pomeranz over on the AFoD blog. Throughout the interview, Hal addresses several questions (from his perspective) that you see a lot in lists and forums...in particular, there are a lot of "how I got started in the business" responses. I see this sort of question all the time, and it's good to see someone like Hal not only discussing what he did to "break into the business", as it were, but also what he looks for with respect to new employees. If you have the time, take a read through the questions and answers, and see what Hal has to offer...it will definitely be worth your time. Corey Harrell posted the results of some research on his Journey into Incident Response blog; he's performed some analysis regarding locating AutoPlay and Autorun artifacts. He's done some pretty thorough research regarding this topic, and done a great job of documenting what he did. Results aside, the most important and valuable thing about what Corey did was share what he found. Have you ever had a conversation with someone where maybe you showed them something that you'd run across, or just asked them a question, and their response was, "yeah, I've been doing that for years"? How disappointing is that? I mean, to know someone in the industry, and to have a problem (or even just be curious about something) and know someone who's known the answer but never actually said anything? And not just not said anything at that moment...but ever. I think that's where we could really improve as a community. There are folks like Corey who find something, and share it. And there are others in the community who have things that they do all the time, but no one else knows until the topic comes up and that person says, "yeah, I do that all the time." I think that one of the best shows on TV now is Undercover Boss. Part of the reason I like it is because rather than showing people treating themselves and each other in a questionable manner, the show has CEOs going out and engaging with front line employees. At the end of the show, the employees generally get recognized in some way for their hard work and dedication. One topic jumped out in particular from the UniFirst episode...that front line employees who were the ones doing the job were better qualified to suggest and make changes to make the task more efficient. After all, who is better qualified than that person to come up with a way to save time and money at a task? When I was in the military, I was given training in Total Quality Management (TQM) and certified by the Dept of the Navy to teach it to others. Being a Marine, there were other Marines who told me that TQM (we tried to call it "Total Quality Leadership" to get Marines to accept it) would never be accepted or used. I completely agree now, just as I did then...there are some tasks that process improvement won't provide a great deal of benefit, but there others that will. More than anything else, the one aspect I found from TQM/TQL that Marines could use everywhere was the practice of engaging with the front line person performing the task in order to seek improvement. 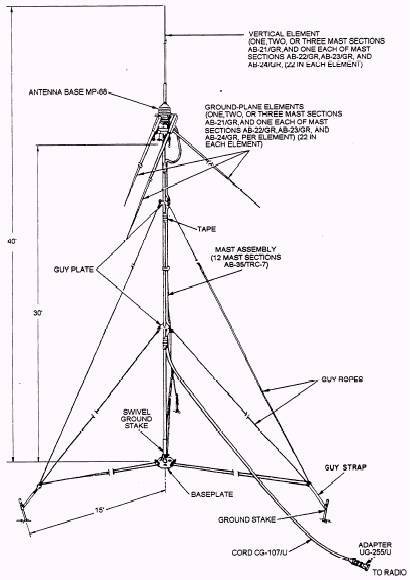 A great example of this was my radio operators, who had to assemble RC-292 antennas all the time; one of my Marines had used wire, some epoxy and the bottom of a soda can to create "cobra heads", or field-expedient antenna kits that could be elevated (and the radios operational) before other Marines could go to the back of the Hummer, pull out an antenna kit, and start putting the mast together. This improved the process of getting communications up and available, and it was a process developed by those on the "front lines" who actually do the work. So what does that have to do with forensics or incident response? Well, one of the things I like to do now and again is look at my last engagement, or look back over a couple of engagements, and see what I can improve upon. What can I do better going forward, or what can I do if there's a slight change in one of the aspects of the examination? While on the IBM team and performing data breach investigations, I tried to optimize what I was doing. Sometimes taking a little more time up front, such as making a second working copy of the image, would allow me to perform parallel operations...I could use one working copy for analysis, and the other would be subject to scans. Or, I could extract specific files and data from one working copy, start my analysis, and start scanning the two working images. Chris Pogue, a SANS Thought Leader who was on our team at the time, got really good at running parallel analysis operations, by setting up multiple VMs to do just that. The point is that we were the ones tasked with performing the work, and we looked at the requirements of the job, and found ways to do a better, more comprehensive job in a more efficient manner, and get that done in fewer ticks of the clock. One thing that really benefited us was collaborating and sharing what we knew. For example, Chris was really good at running multiple VMs to complete tasks in parallel, and he shared that with the other members of the team. I wrote Perl scripts that would take the results of scans for potential credit card numbers, remove duplicate entries, and then separate the resulting list into separate card brands for archiving and shipping (based on the required process). We shared those with the team, and Chris and I worked together to teach others to use them. So why does any of this matter? When I was taking the TQM training, we were told that Deming originally shared his thoughts on process improvement with his fellow Americans, who laughed him out of the country, but others (the Japanese) absorbed what he had to say because it makes sense. In manufacturing processes, errors in the process can lead to increase cost, delays in delivery, and ultimately a poor reputation. The same is true for what we do. Through continual process improvement, we can move beyond where we are now, and provide a better, more comprehensive service in a timely manner. In closing, use this as a starting point...a customer comes to you with an image, and says that they think that there's malware on the system, and that's it. Think about what you can provide them, in a report, at the end of 40 hours...5 days, 8 hrs a day of work. Based on what you do right now, and more specifically, the last malware engagement you did, how complete, thorough, and accurate will your report be? One of the interesting things I found in Claus's post was the mention of a new mounting tool, OSFMount, for mounting images. I find it useful to be able to do this, and have been using FTK Imager 3.0. Claus also mentions in his post that ImDisk was updated recently...like OSFMount, it comes with a 64-bit version, in addition to the 32-bit version. So, what does this tell us about image mounting tools? There are several other free and for-pay tools, some of varying quality, and others with vastly greater capabilities. So why does it seem that there's an increase in the number of tools that you can use to mount images? After all, you can use LiveView to convert a raw dd image to a vmdk and open it in VMPlayer, or you can use vhdtool to convert a raw dd image to a vhd and open it in MS's Virtual PC, which is freely available. I watched for a long time and didn't see any updates for a while...while I wasn't watching, Christine updated the e-Evidence.info site with a lot of great reading material back in November. This site has always been a great source for information. Based on a link from the e-Evidence site, I did some reading about mounting images, and accessing and recovering data from Volume Shadow Copies. The first resource I looked at was from QCCIS.com; the whitepaper provides an explanation of what the Volume Shadow Service does, and provides a simple example (albeit without a great deal of exacting detail) of mounting and extracting data from shadow copies. This is a good way to get started, and I've started looking at ways to implement this...so far, I've used Windows 7 Professional 64-bit as a base system, mounted an image (with FTK Imager 3.0) that includes a Vista 32-bit volume, and not been able to access the shadow copies. I'll be trying some different things to see if I can mount images/volumes in order to access the Volume Shadow Copies. This site isn't strictly Windows-oriented...in fact, it's decidedly focused on MacOSX. However, Malicious-streams.com contains information about PDF malware, a bit of code geared toward Windows systems, and some good overall reading. Also, the author is working on a version of autoruns for MacOSX and I hope that this gets released as a full version early this year, as it would be a great way to start things off in 2011.